Posted on July 16, 2013	by Derek "Gamer Crash"
So you braved the Metro’s horrors and you’re looking to keep the experience rolling. 4A has you covered. Since revealing the season pass and its four DLC packs, little information has been given to what is actually contained within each piece of DLC. With the first pack release rapidly approaching, they’ve finally taken to the internet to reveal what gamers can expect in the first of four: Factions. The biggest thing they’ve stressed is that even without the DLC, you’ve gotten the full experience. Artyom’s story is 100% complete and you won’t need to fill in the gaps by purchasing this DLC. From the sounds of this first DLC, this seems to be true. The first DLC will allow players to finally get perspective from the other factions in and around the Metro. You’ll get three new missions each told from a different faction. This also allows the developers the chance to change-up and take advantage of new gameplay mechanics while giving the player more freedom since motives are less ambiguous than they were with Artyom. The first mission places you in the role of a Red Line sniper unit tasked with infiltrating a Reich outpost. Make no mistake, stealth is a must in this mission as you’re packing a high-powered rifle and getting overwhelmed with enemy numbers probably isn’t a good idea. 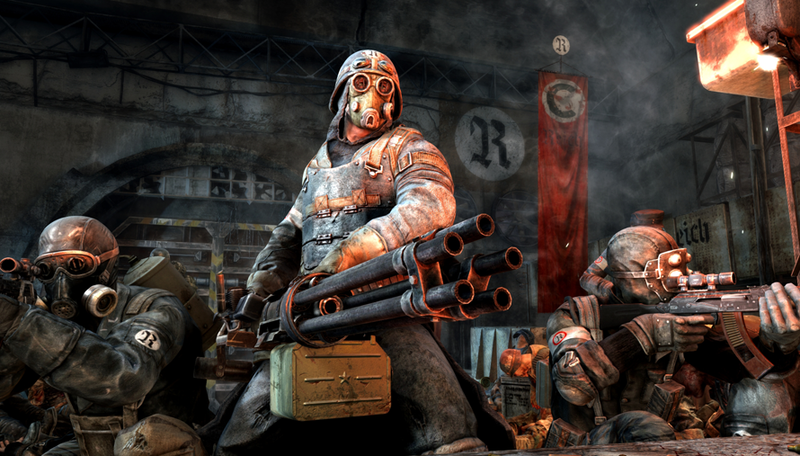 Fans of Metro 2033 will be happy to know that Black Station is making a return with updated effects and graphics thanks to the new engine running Last Light. The second mission puts players in the role of a Reich heavy unit, giving you access to some really powerful guns and armaments. A change of pace from the typical scavenge/survive style of Artyom for sure. You’ll be using some big guns such as the chain gun and the new Volt Driver which uses electromagnetic charges to fire ammo at high velocity speeds. 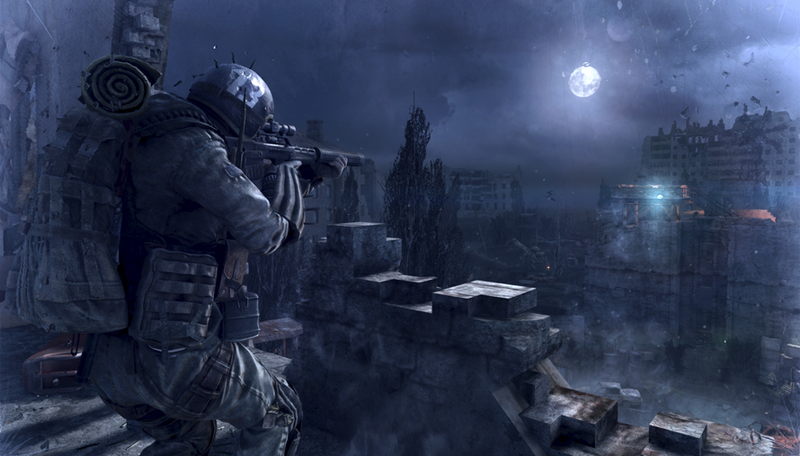 Players will also recognize the map here as you’ll be returning to “Frontline” from Metro 2033. Finally, the last mission is probably the most tense out of the three as you’re cast as a Polis Ranger trainee tasked with exploring and reclaiming artifacts from the ‘Great Library’ level from Metro 2033. Players start with limited supplies and only a pistol as they’re sent to the surface which also places significant importance on managing your filters and air supply. If you’re eager to experience something fresh in the Metro world, you won’t have to wait any longer as the Factions DLC pack is now available. If you picked up the season pass, grab it now for free and for everyone else, it’ll set you back 5 bucks. This entry was posted in News and tagged news, PC, PS3, Xbox. Bookmark the permalink.